LeapFrog: LearningSet (Three-Disc DVD + CD) Just $12.96 + FREE Shipping with Prime! You are here: Home / Great Deals / Amazon Deals / LeapFrog: LearningSet (Three-Disc DVD + CD) Just $12.96 + FREE Shipping with Prime! Head over to Amazon and get the LeapFrog: LearningSet, Volume Two (Three-Disc DVD + CD) for just $12.96 (reg. $29.99). Shipping will be FREE with Amazon Prime or an order of $35 or more. 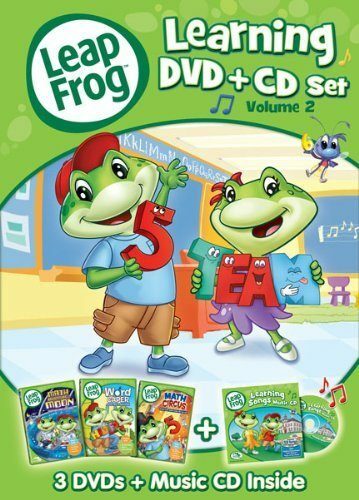 Includes 3 LeapFrog DVDs teaching reading and math skills, plus a Learning Songs Music CD featuring 13 songs, teaching ABCs, days of the week, counting, and more!